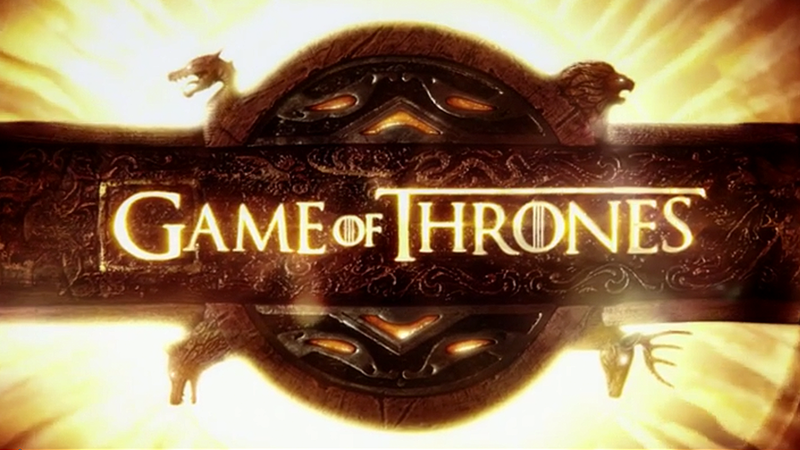 Leeches, Dragons and a Bear: Behind the Scenes of Episodes 307 and 308 — Making Game of Thrones " "
Daenerys' journey took the Wolf Crew all over Europe too, with many of her biggest scenes (the Unsullied Army, the Walk of Punishment) taking place across Morocco and Croatia. 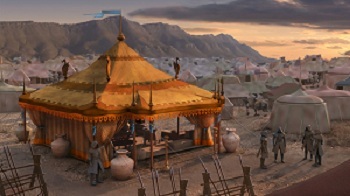 When Daenerys meets with the Yunkai to discuss terms of surrender, the team was located in Little Barrage, just outside Tazentoute in Morocco. The dragons, I’m afraid, did not have the animal passports that are required in North Africa and were added in by our lovely VFX team at a later date. More from Props with Tyrion’s gift to Shae: The golden chains were one of four possible options from a collection that would make Mr. T jealous. They were selected for their weight and delicate working weeks before the scene was shot. Also delicate, but by now not working, is Theon’s manhood. It was taken from him with a blade that was specially designed and for its purpose by Tommy Dunne, based on historical knives made for the job. Claws of a very different kind were found on our bear and given that he's been featured in song, it would be remiss of me not to tell you about him. As you know from the behind the scenes video, the bear pit was built on our Harrenhal set in Banbridge, and much of the stunt work done by Brienne and Jaime was filmed there. The bear himself was actually filmed in Castaic, CA. His name is Bart II, and he lives in Utah. He’s been seen in ‘We Bought a Zoo’ with Matt Damon. He was one of six bears that were looked at, along with the possibility of an animatronic bear and a man in a bear suit – but the last two options were rejected as not realistic enough. Gwen and Nikolaj both travelled to L.A. to film in the pit, but they did not fight directly with Bart. His reactions were filmed against green screen and matched to their movements later. More tricky camera work comes into play during the wedding of Tyrion and Sansa in Episode 308. Joffrey and Sansa's walk across the hall was filmed in one direction and then the crowd was moved and the approach was filmed from the other. CGI was then used to fill in the few missing elements from the sept. The Set Dec department used over 750 candles filming that one sequence: 250 candles replaced three times each. Even the Lord of Light would have been thrilled. Of course, the Lord of Light is getting more than his fair share of attention in this episode, with Melisandre using her feminine wiles to get the blood of kings for Stannis’ sacrifice. The leeches attached to Gendry's skin were actually stunt leeches, designed by the Props department to be as realistic as possible. 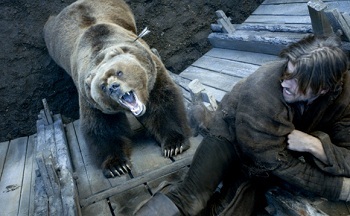 No animals (or Joe Dempsie) were harmed in the filming of the scene!